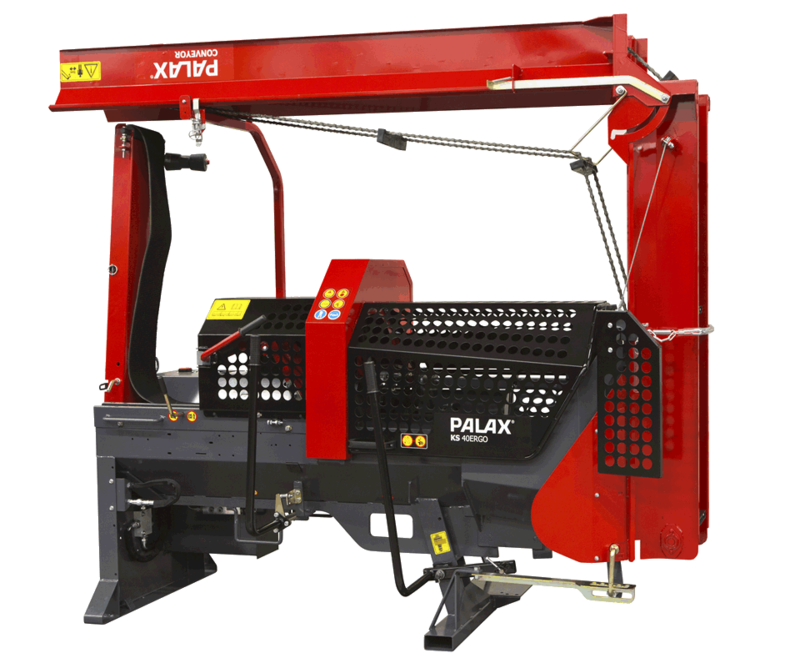 Palax introduces a strong novelty – the NEW Palax KS40. 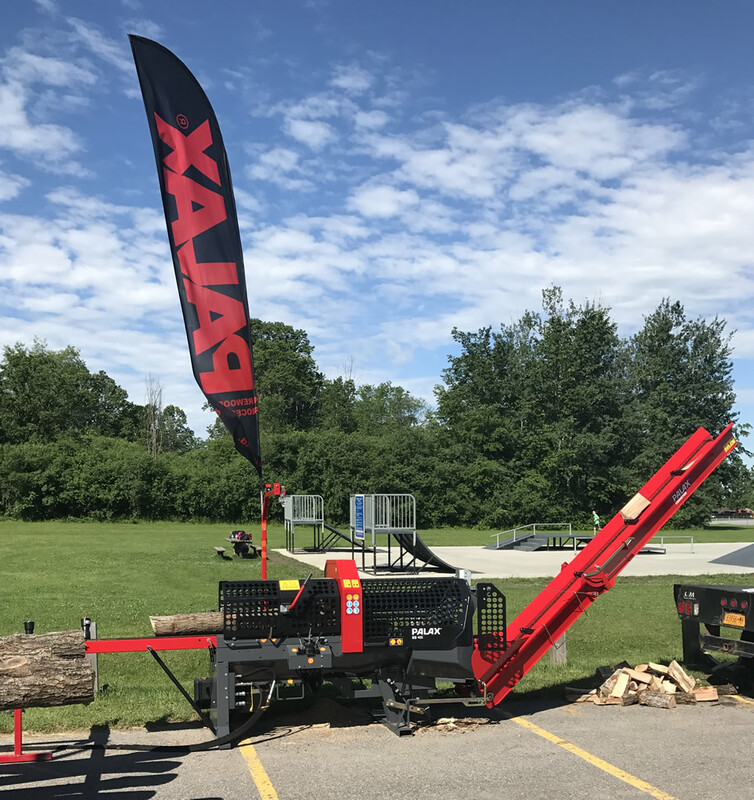 This machine offers a great alternative for firewood entrepreneurs, who value a strong and easy-to-operate firewood processor with a chain-saw. 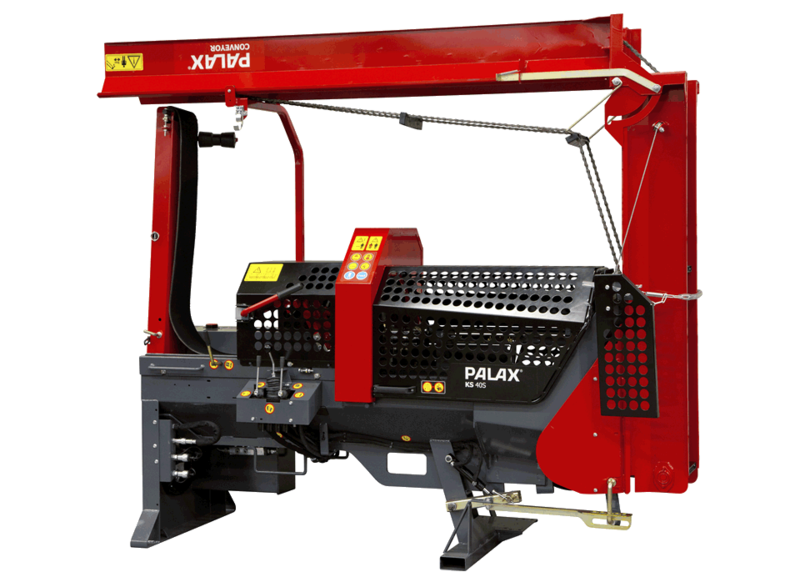 The machine has a 16” saw-bar, and a splitting force of 13 tonnes. The maximum log diameter is 15". The unit is available in two versions – the Ergo model and the S model (with joystick control). The user of the Ergo model benefits from excellent ergonomics, due to the crosscut handle having a lateral motion instead of the traditional up and down motion. The S joystick model is easy to operate, making operation of the machine extremely efficient. As an option, the KS40 is available with a Power-Speed cylinder, which increases the operating speed at three different splitting forces. 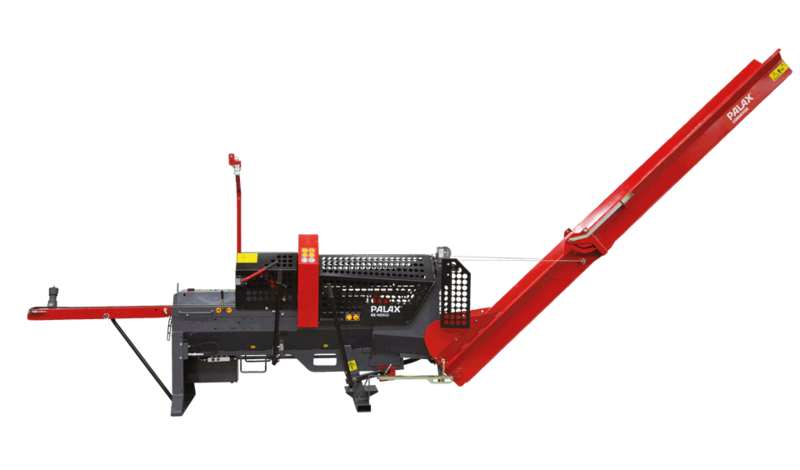 The KS40 is equipped with a 14.1' / 4.3 m long discharge conveyor that can be shifted mechanically 7.2' / 2.2 m to the side. The discharge conveyor has two chains. The conveyor is open also on the underside, which ensures its trouble-free operation. 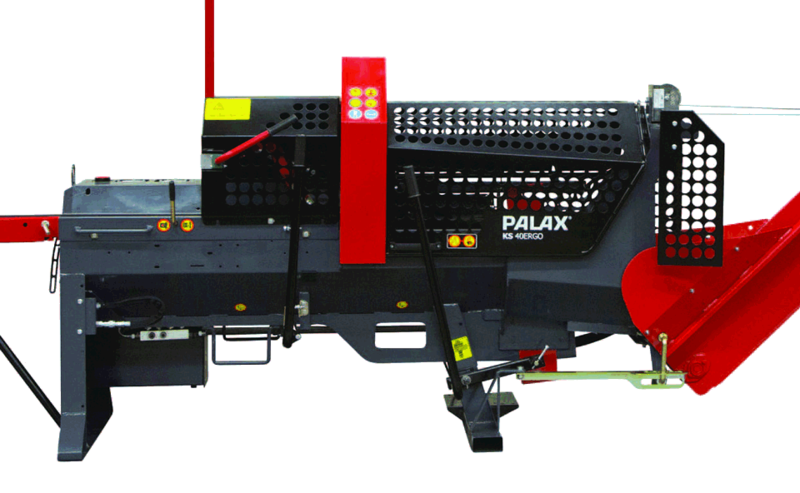 KS40 machines are equipped as standard with an extra hydraulic circuit for an external in-feed roller. The S model is equipped as standard with an extra hydraulic circuit for an external log-deck, while the Ergo offers this feature as an option. The new strong KS40 range is an update to the familiar, well-established and successful KS35 model. It is available as a tractor PTO driven.